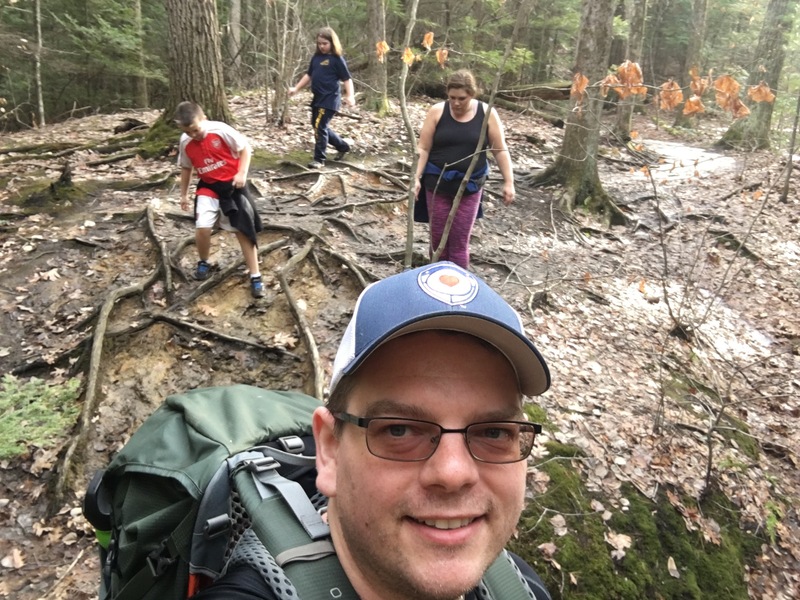 Last weekend, the family headed out to do some hiking in western Massachusetts. We were originally headed for some waterfalls but as some weather was coming in, we cut the drive short when we saw a turn off for Monument Mountain. 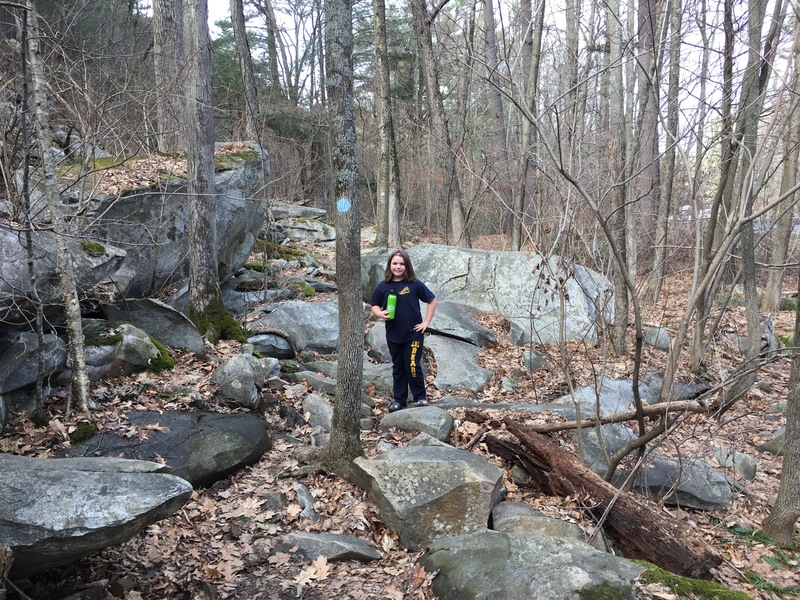 I took a look at the trail map and as it was about a 3 mile loop with ~500′ of elevation gain, I gave my wife and kids a thumbs up. They’re not into hiking the way I am so if it was too hard, I was going to hear about it. Luckily my daughter was all smiles at the beginning! It took us about 2 hours to complete and offered some fantastic views. The would’ve been even better on a clear day but the weather was turning poor. We started west out of the parking lot up the Indian Monument Trail, headed over the top on the Squaw Peak Trail, and came back to the parking via the Hickey Trail. You can see the route on the trail map. The ascent is fairly gradual and easily doable for the young ones. 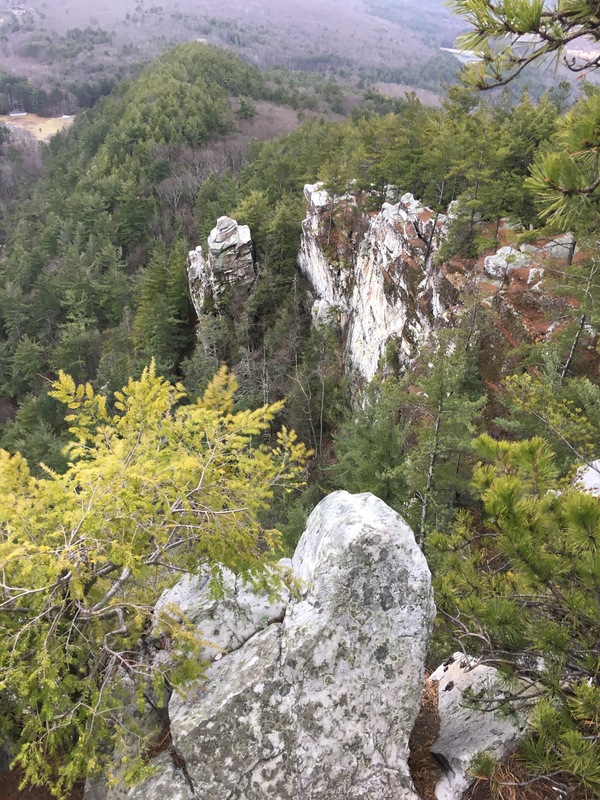 The top is a little hairy – there are some rock scrambles and places where the trail gets narrow. It depends on your kiddos – mine were a bit tired and hungry so that increased the whining quotient. There’s a short side trail near the top to Devil’s Pulpit. It’s maybe 100′ off the main trail and has a spectacular view. The shots below don’t do it justice – its quite the drop off. My hiking companions wanted nothing to do with that! I love hearing the history of a place – especially when someone valued our wilderness enough to give it away so others can enjoy it. 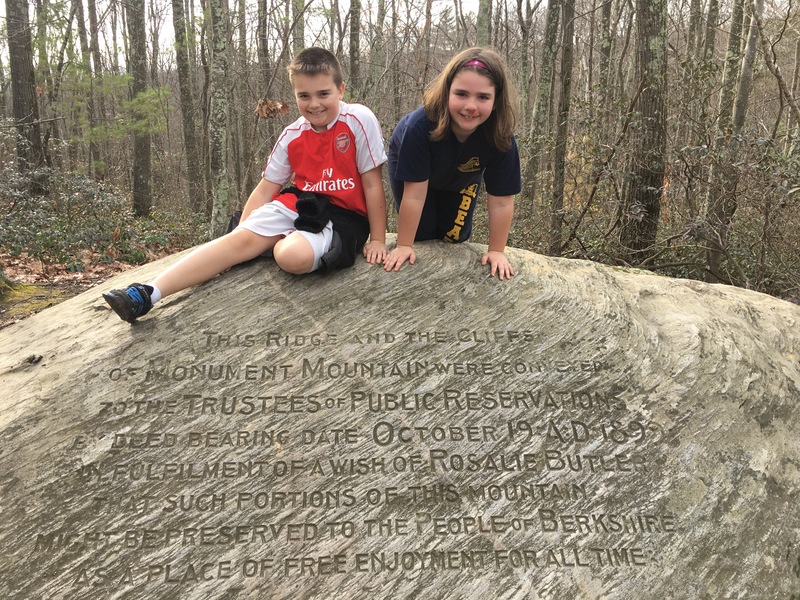 The kids were all smiles on the way down – I think they were excited to be off the mountain or maybe it was the promise of dinner! It was a nice short hike with some good views of the Berkshires. Definitely recommended if you’re in the area.